Hello Beauties! So last week I received a really exciting delivery from Nars. I've said it many a time but Nars really are one of my all time favourite brands, their products are second to none and for this, Nars decided to send me a little 'thank you' present - how sweet?! I received one of their Satin Lip Pencils and this beauty of an eyeshadow duo, which I'm over the moon about as they are both products which have been on my 'to try' list for forever now! Now, I know I only received this product the other day and I'd usually test products out for a little while longer before putting up a review, but seeing as this eyeshadow duo is limited edition, I thought it would be best to get my review up sharpish - just incase any of you were looking to get your hands on it. First off, lets start with packaging. Like all Nars products, the eyeshadow duos come in the matte black packaging which I really do love. I think it looks beautifully classy and sleek, however it is a bit of a pain if you've got a bad case of foundation fingers like myself. I find I'm constantly giving this (and all of my Nars products) a wipe down to make sure they stay looking as good as new but this is a small price to pay for the quality and beauty of Nars products. Jardin Perdu contains two shimmery shades - a silvery grey shade and a lovely muted violet shade. They're both stunning shades with can either be worn alone, worn together or mixed together to create a whole new shade, which is what I really like about this duo. 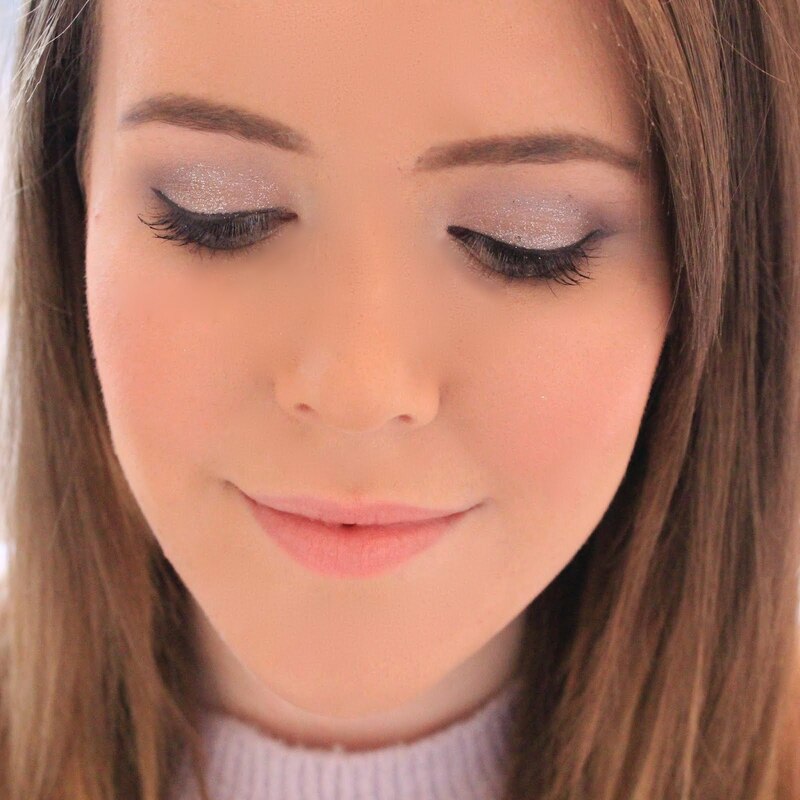 I find that sometimes eyeshadow duos or quads are made up of beautiful colours, but they just don't work well together, which is kind of annoying as you end up switching between palettes, quads and duos to create a cohesive look. 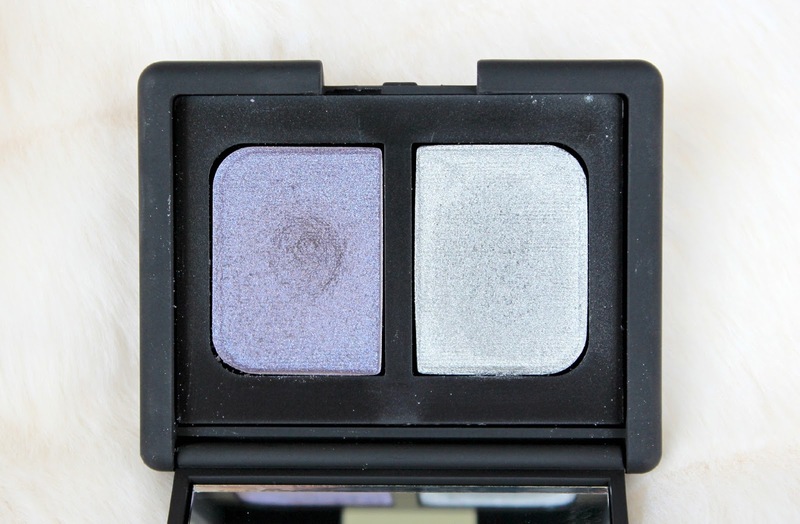 If you've been reading my blog for a while then you'll know I'm a big fan of purple eyeshadows, particularly shimmery ones, so its really so surprise that I love this duo. 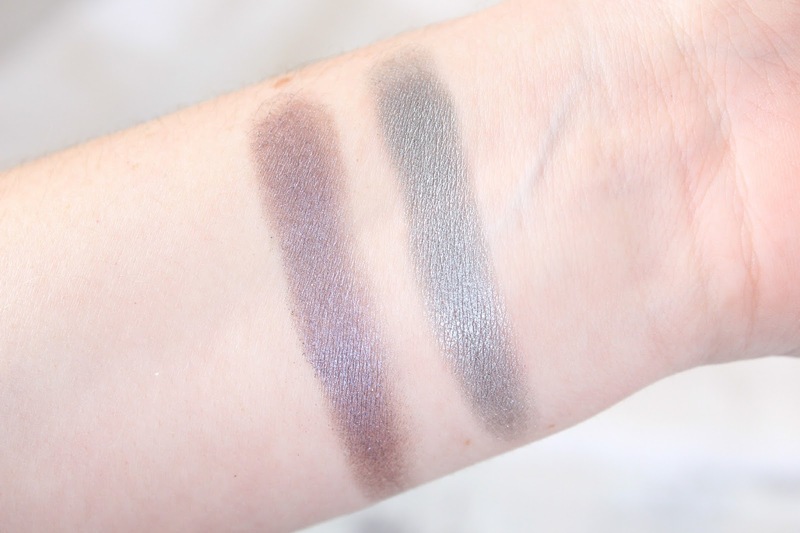 So far I've really been enjoying wearing the darker purple shade across throughout my crease, with the lighter shimmery silver worn across my lid to brighten my eyes a little and create a subtle smokey eye. The formula of these shadows is also stunning. Believe it or not, these are my first eyeshadows from the brand (surprising considering how much I love a good eyeshadow or 5!). Nars eyeshadows are something I've always wanted to try but I've always been put off by the high price and not knowing if they were really worth the splurge, but rest assured, they definitely are. In fact, I think these may have beaten Urban Decay to the top of my eyeshadow love list. The formula is ultra soft, buttery and blend-able - they apply like a dream. The pigmentation is also out of this world. The colours both applied true to colour, so what you see in the pan is exactly what you get on your eyes. They're also really build-able so you can up the level of pigmentation if you really want to, although I doubt thats really necessary with these. Overall, I am in love with this duo, and Nars eyeshadows in general. I've just added about 6 more duo's to my wish list (as if it could get any longer!) and next time Nars release limited edition palette, I'll be the first one in line to pick it up. 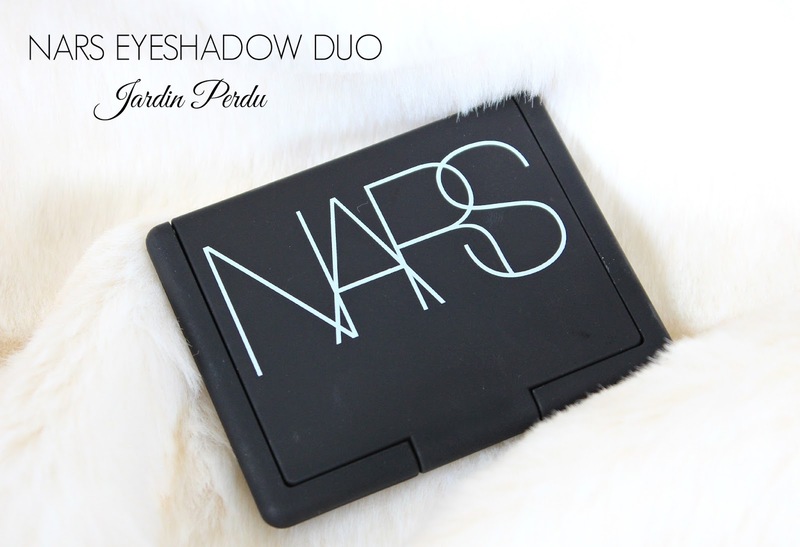 The Jardin Perdu Eyeshadow Duo is currently available from all Nars counters, however the cheapest place I've found it is from House of Fraser here. Get in there quick though, as this is limited edition, and last time I checked they only had a couple left! NARS is without a doubt one of my favourite makeup brands. I love their products so much! These shades are absolutely beautiful. I love that duo, it's kinda like MAC Satin Taupe. Ooo gorgeous shades! I love NARS duo's! This looks beaaauuutiful! I'm in desperate need of that duo. *goes online and purchases immediately*!